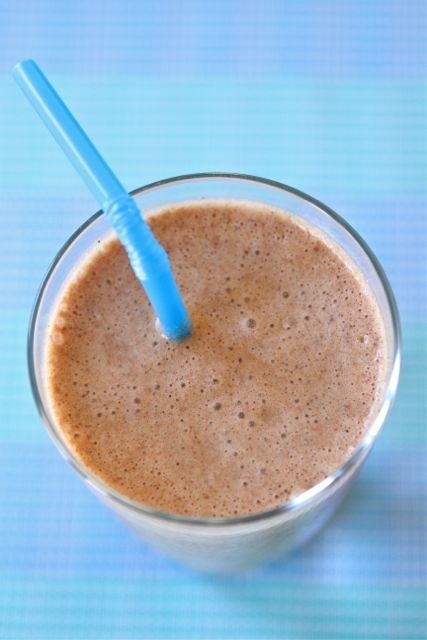 Here is a quick and easy recipe for a delicious smoothie that I like to drink after workouts. It is as satisfying as desert, but totally healthy! Give it a try and let us know what you think. Put ingredients into a blender, blend until smooth. This is a great recipe even if you don’t have a fancy blender. This entry was posted on February 12, 2014 by Chef Jill in Nutrition, Recipes and tagged chocolate, garden of life, peanut butter, protein, recovery, smoothie.